PCAyorks: Psycho Filler - qu'est ce que c'est? Spotted some interesting stuff recently. Not person-centred, per se - but definitely blog-worthy. 1. Do Humans Have A Daily Requirement For Certain Kinds Of Emotions, Like The Body Does For Certain Nutrients? 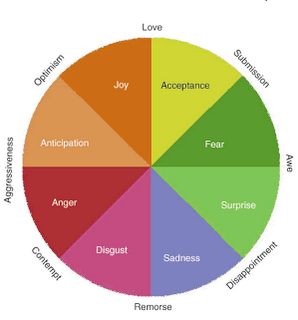 A Web-based psychology experiment is investigating whether human beings have a daily requirement for certain kinds of emotions, in the same way that the body has a proven requirement for certain nutrients. Based on animal studies and human research, Dr. Imam Saqib of the National Institute of Psychology at Quaid-i-Azam University in Pakistan is interested in finding out if there is an optimum state of emotional health describable by regular experiencing of certain feeling states. Is it optimally healthy for a person to experience a certain amount of love every day? Of creativity? Of connection with others? Of competition, or even aggression? We are all the products of long periods of evolutionary adaptation. Presumably, if the same emotions exist in most people, they must be there for a reason. Even the so-called negative feelings may have their place. Researchers are studying whether hormones which are characteristically released in response to certain emotional states, like oxytocin, cortisol, and adrenaline, have an optimum level of release which makes the individual healthiest. There is a discussion group which the public is welcome to join. The study is sponsored by the World Mind Network and is co-moderated by Irina Higgins of the Oxford Foundation for Theoretical Neuroscience and Artificial Intelligence and Melissa Mendoza of the University of La Verne. Hoarding can cause many personal and social problems but psychologists are only just beginning to understand what causes it and how to help sufferers. Here's an interesting item on the subject.